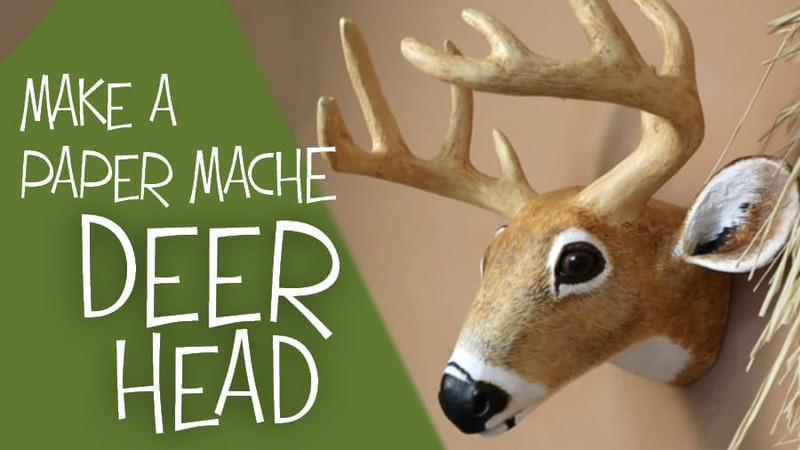 Don’t let the antlers scare you – this paper mache deer head is easy to make with the downloadable pattern. 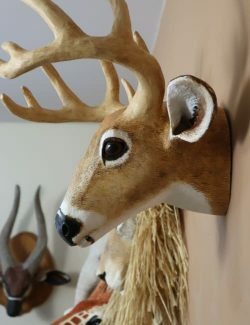 You can add a natural, rustic look to your decor if you paint the deer’s fur like I did. 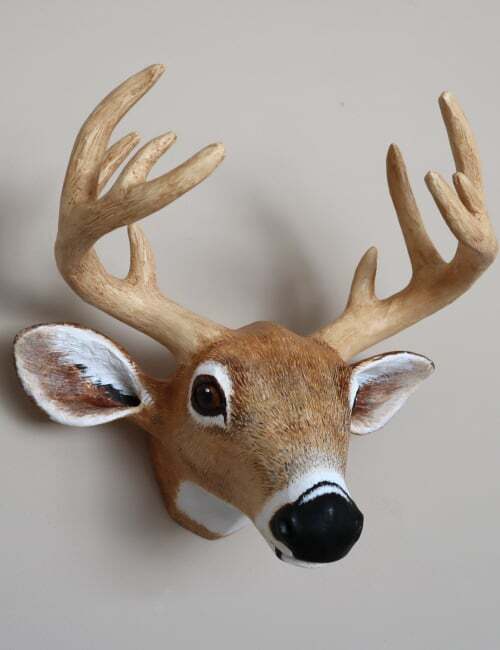 Or use white spray paint or bronze coating for that awesome “faux trophy mount” look. 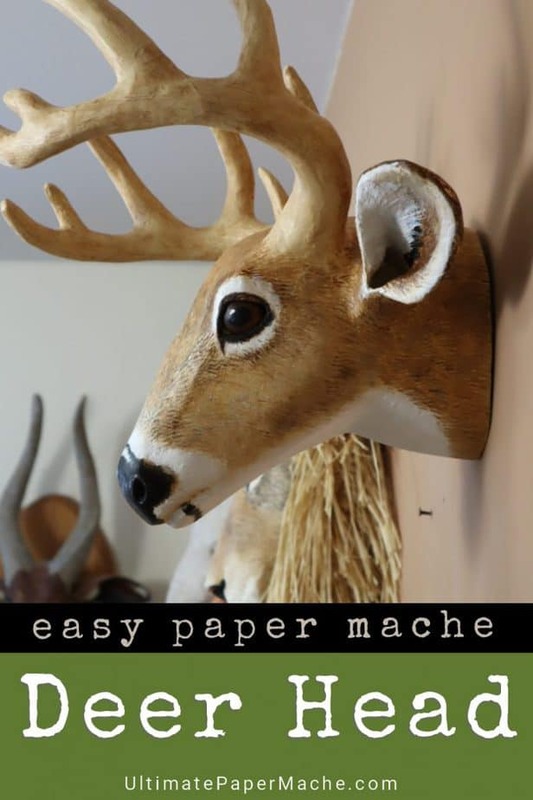 Watch the video below to see how easy it is to tape the cardboard pieces together and to finish your deer head with one layer of paper mache. Finished size: About 15 inches (38.1 cm) high, 16 inches (40.64 cm) wide and 13 inches (33.02 cm) deep. 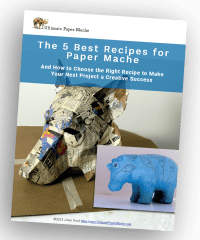 Print the pattern on plain copy paper and attach it to cardboard with a glue stick, or print the pattern pieces on full-sheet labels instead. (See the materials list below). Add a Styrofoam ball with hot glue for the eyes. Use foil to make the antlers strong and curve them the way you want them. (Be sure to look at photos, so you get the look you want). Add additional foil to the ears, eyelids and nostrils. 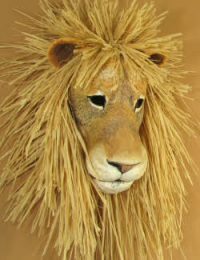 Then turn your cardboard armature into a permanent sculpture by adding paper mache and paper mache clay. You can find the recipes in the Art Library on this site. And paint it. 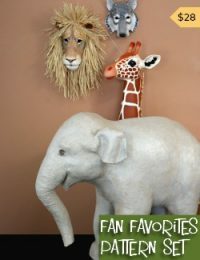 Use acrylic paint, like I did, or spray paint like the popular resin faux taxidermy sculptures. 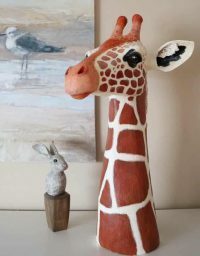 Or paint it with geometric designs or cover your deer head armature with colored cloth – it’s totally up to you! 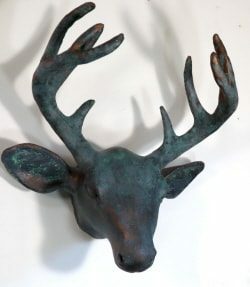 This is how the deer head pattern looks with faux bronze coating and patina. Acrylic paint and matte varnish (or spray paint, if you want your deer head to be all one color). 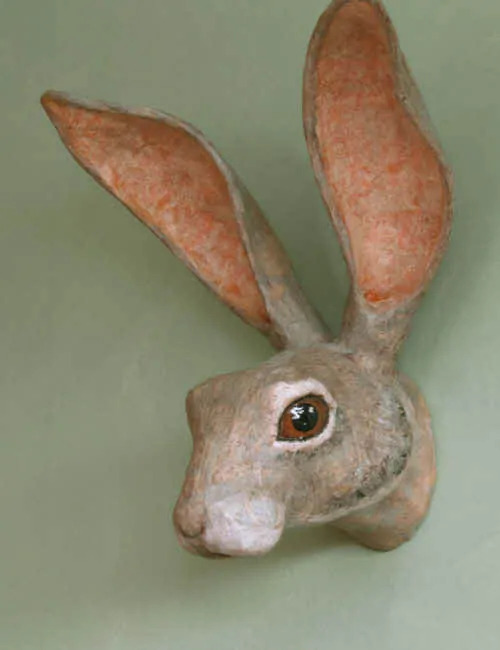 *You can find recipes for paper mache paste and paper mache clay in the Art Library tab at the top of this site. For me, that was one of your most fun videos. I have had a difficult time viewing videos on my computer for some reason, so I was happy when they played today. I love the idea of aluminum foil around the nose and the eyes. I’m definitely going to use that. I’m painting a few projects now and am going to paint with Jessie’s brush! It looks like you paint from dark to light.? I love the fur. I had an uncle who had a tame deer. Someone took a photo of me holding his face in my hands and getting ready to give him a kiss, so this brought back many fond memories. Thanks so much for thinking outside the box for those of us who hardly see daylight! Thanks, Rex. I’m glad you like the video – that means a lot to me. Jonni, the painting of the fur is perfect. I can hardly believe it. I, too, bought one of “Jessie’s brushes” and plan on using it soon. I used the brush once and love it. The deer is beautiful. Thanks for all your beautiful work. Jonni, the fur paint job is fabulous! Jessie would be really proud that you took her tutorial to heart. I got one of those brushes after watching her tutorial but it is much smaller. I like the size that you have….may have to get one! The painting of the deer antlers was realistic as well. In real life, they are not all going in the same direction. My kids would find them and bring them home and they have scratches and dents in all sorts of directions, perhaps as a result of their mating behaviors??? I wonder if you used that same brush and used longer strokes if you could achieve that same effect? It is a fine sculpture and a really fine pattern that you offer. Thanks.